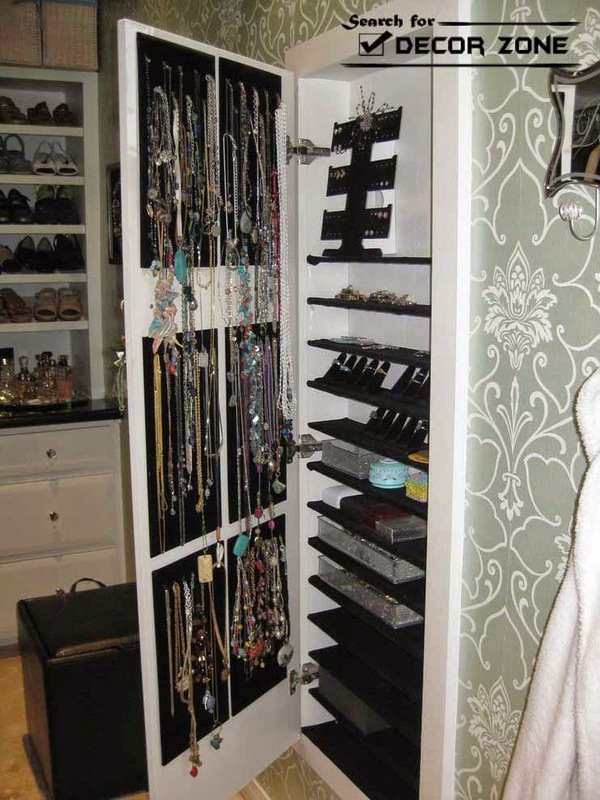 we previously shared a related article "creative jewelry storage ideas and solutions in the interior"
Is there a woman does not love jewelry? 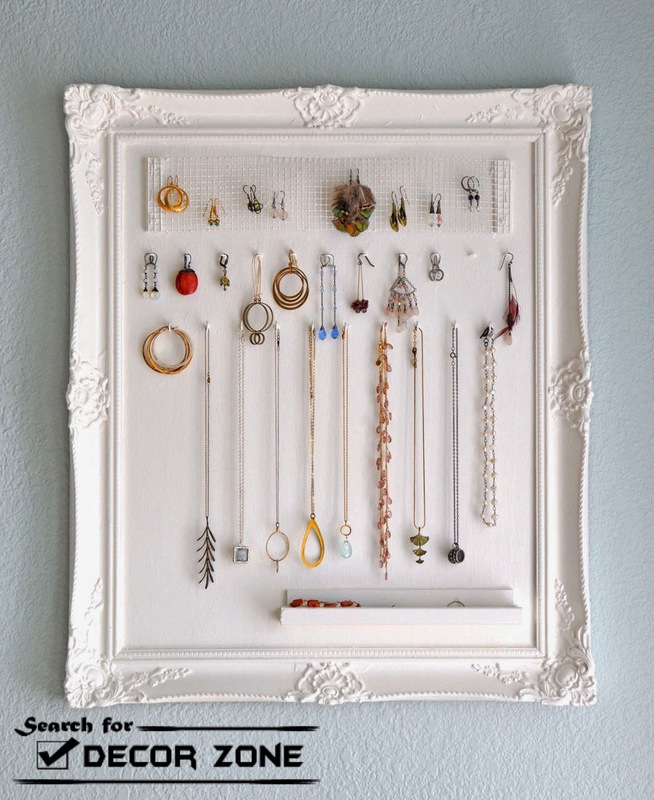 Of course not, how it can be difficult to find the right earrings or necklace if they are not stored in perfect order. 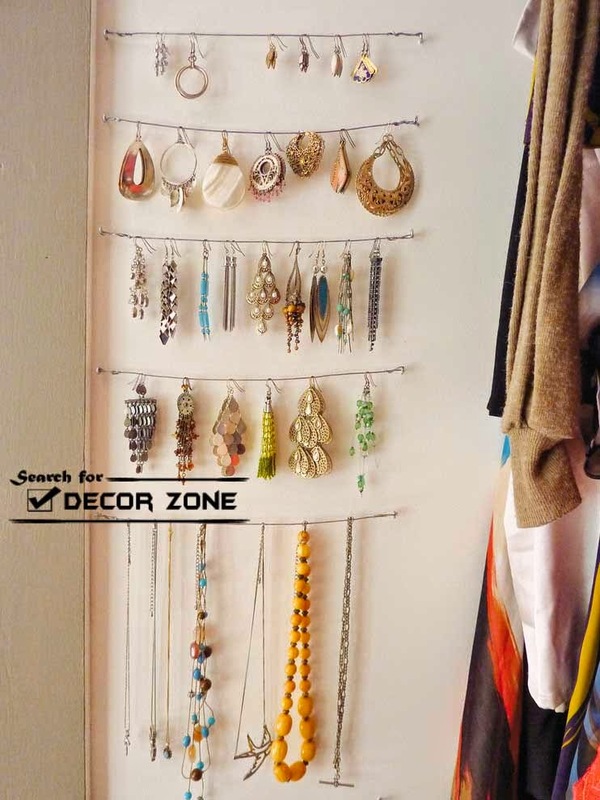 In today's article we offer you some jewelry storage ideas and solutions. 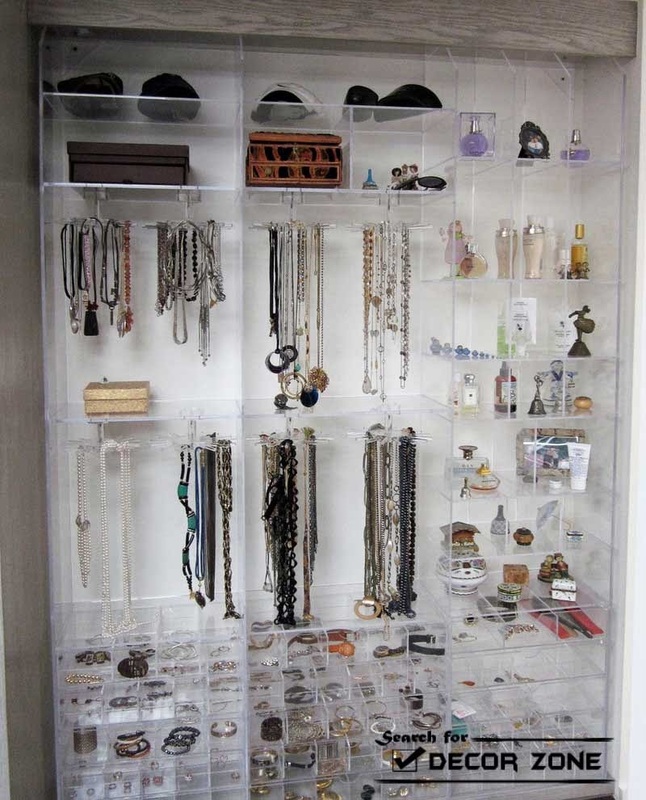 This jewelry storage cabinet do a good job - light transparent design can always be moved to another location. And thanks to the plastic you will see earrings without much searching. And there are so many places that fit even perfumes and sunglasses. don't miss " 30 creative bedroom storage ideas"
The same principle of organization as the vertical cabinets, but moved in a horizontal plane. 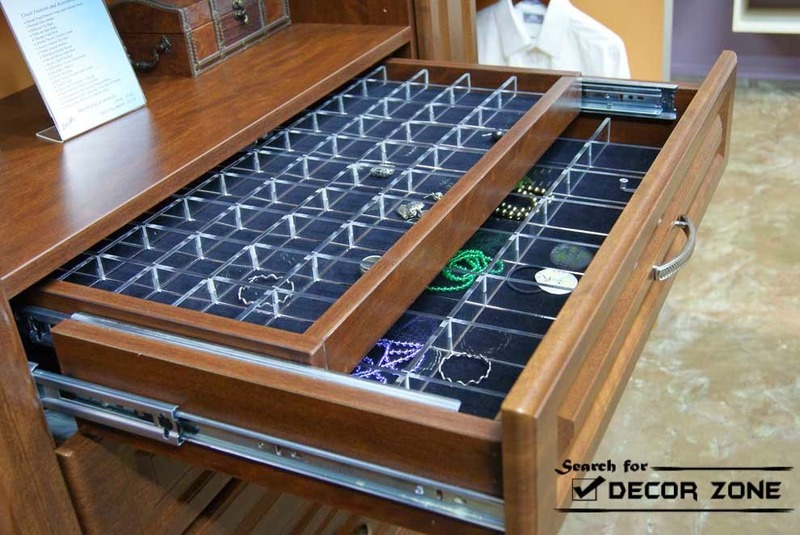 You can pre-design internal drawers for jewelry storage or buy different jewelry organizers to arrange in random order. 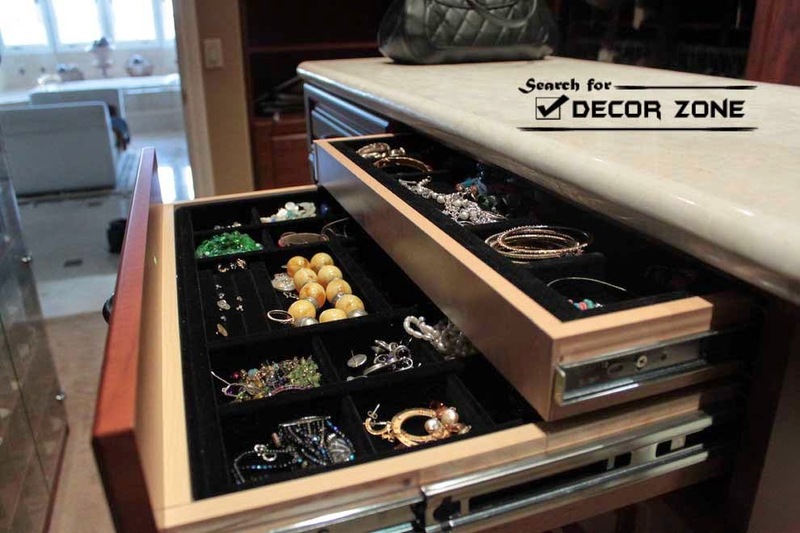 Also available with built-in drawers with plastic or wooden limiters, pre-calculate the necessary space for decoration. 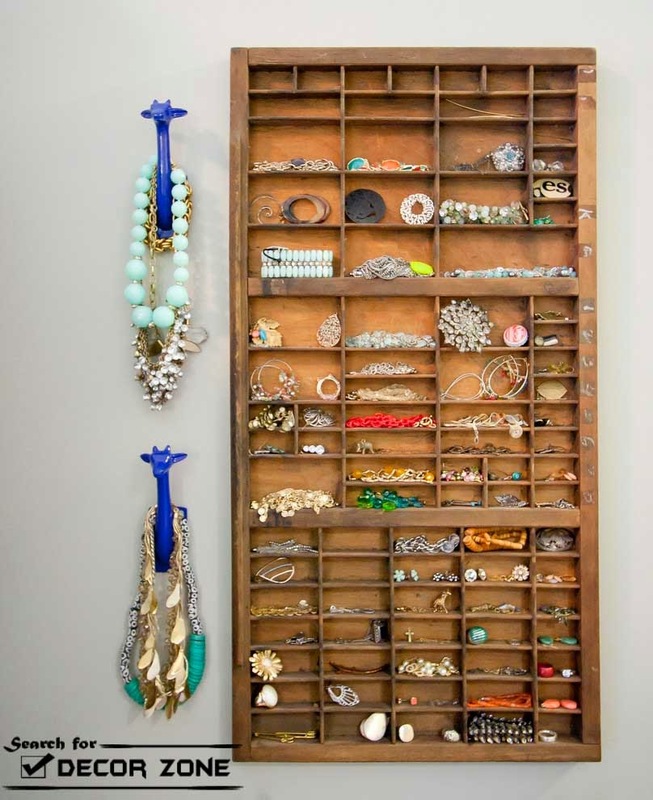 This is the most popular jewelry storage ideas and well known to all of us. The obvious advantage of these stands is their lightness and mobility - at any time, you can rearrange them in a different locations or hide the far cupboard. But in this case pops up and downside - for such a stand does not fit a lot, especially the volume of beads and bracelets. Therefore, it is ideal for a small dressing table, where it is necessary to have on hand only favorite jewelry for every day. Instead, they are often mimic trees, flowers and cage for birds and various rotary designs with many holes for earrings. Your choice depends on what kind of jewelry do you like more - earrings or rings, necklaces or bracelets. There is a whole group stands for rings. Instead, they are like hand and various animals with long trunk or tail. Dress rings or fingers, or a long tail or nose. Convenient and practical for small and ornaments. 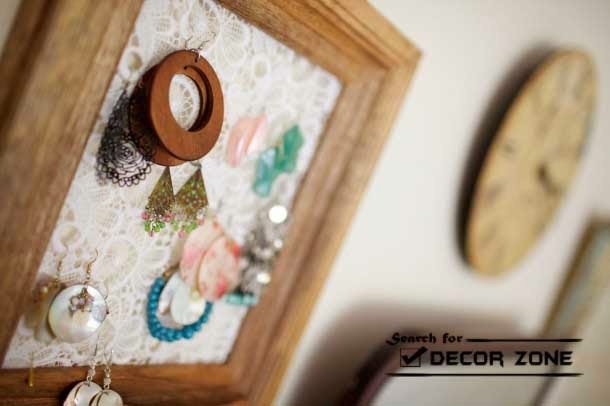 This jewelry storage ideas supports the creative girls who love to do all kinds of crafts themselves. Options for establishing a set of coasters, but the easiest and most affordable option is performed with a picture frame and mesh. You just take the mesh or lace, impose it on cardboard or plywood, pulled tight as a canvas, and nailed to the frame. And organizer for jewelry ready - any hole in the net - this hole for storing earrings. This method is best suited for beads and pendants that can go awry in the supine position. 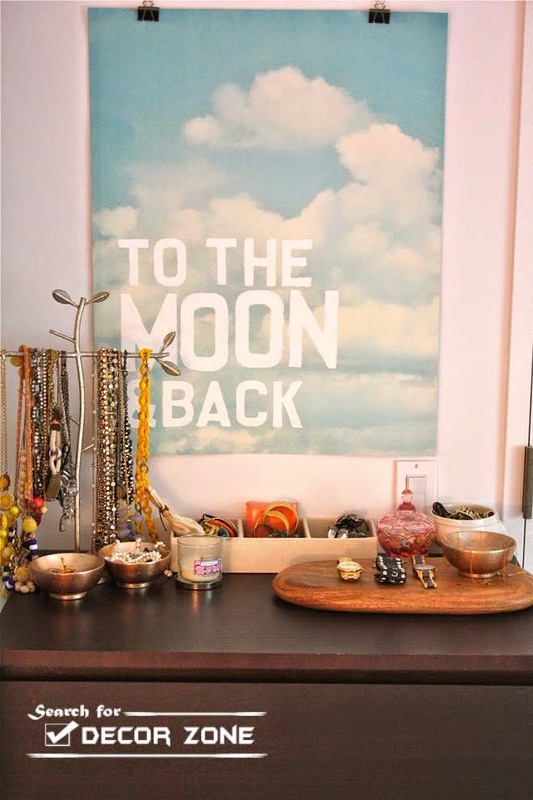 Everything is simple - to mount the rails on a shelf, on which hang the hooks that if necessary you can add or replace. This method is characterized by simplicity and accessibility, as well as the convenience and compactness, as it does not take much space. This type of stands can also be attributed to the group of "homemade", because they are easier to do all yourself. But we decided to tell them apart. 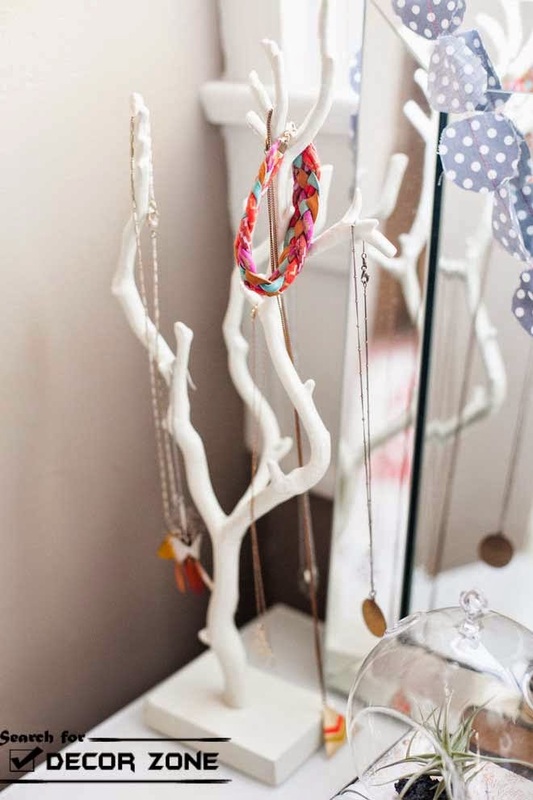 This is certainly a creative and original jewelry storage ideas, because you only need to choose the appropriate branch - with a greater number of small knots. 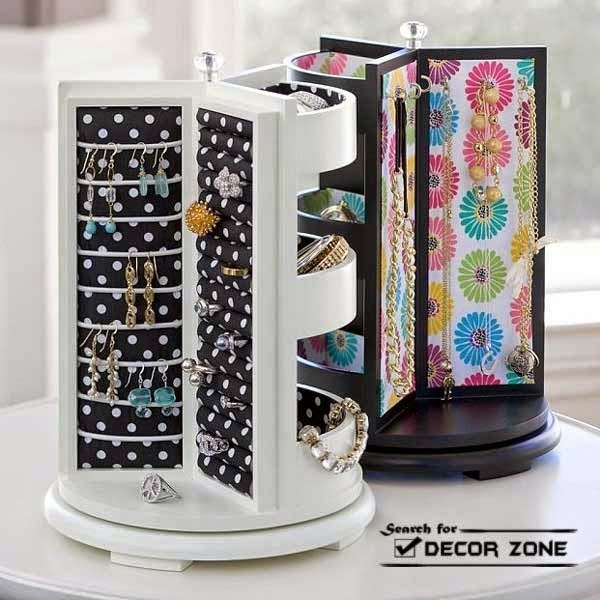 this future organizer is the best possible way that fit into the interior, paint it with paint in your favorite color.